A South Carolina woman is on trial for allegedly abducting her husband’s lover. She also reportedly forced her spouse to get her own name tattooed above his crotch as payback for cheating. Tammy Moorer is accused of conspiring to kidnap 20-year-old Heather Elvis, who mysteriously vanished in December 2013 from Myrtle Beach, after she had a sexual relationship with her husband, Sidney Moorer. 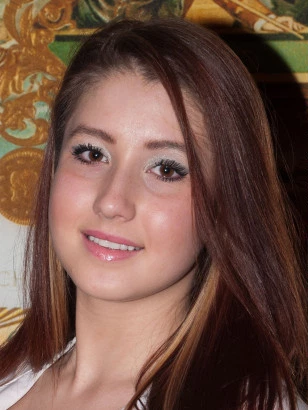 Nearly five years later, the young hostess hasn’t been found and is presumed dead. Tammy Moorer is standing trial for the kidnap of Heather Elvis. 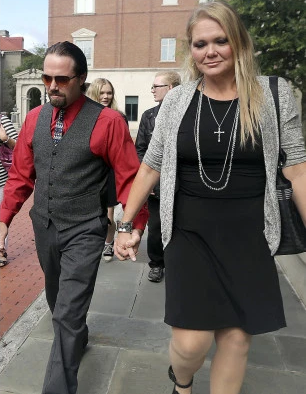 Testimony in the kidnapping trial against Tammy Moorer revealed Monday that the jilted wife was overheard explaining the bizarre "punishment" to her 38-year-old husband, Sidney Moorer for cheating on her. Prosecutors contend Tammy became vindictive after discovering the affair between her husband and Heather Elvis in October 2013 and hearing rumours about the possibility that Elvis was pregnant. "If you didn’t have that thing with that girl, this wouldn’t be happening," Tammy allegedly told her husband, according to Melton’s testimony. Dennis Clark, a former manager at the Tilted Kilt, the bar where Sidney performed maintenance work and met Elvis, said Tammy demanded on the phone that the hostess be fired or her husband wouldn’t continue to do repairs. Tammy barged into the conversation and proceeded to tell me how Heather was causing problems for her family, spreading rumors that she was pregnant by her husband and [said] to fire her.